READ THE eBook for FREE thru Easter! Terror seized Annette and she froze. Fern yelled for help. The bear was four feet in front of Annette. But something was wrong with it. There was a mass of blood on its snout and chest area as ropes of drool streamed from its horrible mouth. While Annette and Penny and Ruby spend their spring break at the Parkers' lake house in Minocqua, Wisconsin, unexpected events disrupt their hopes for a leisurely Easter vacation, starting with the questionable death of a fisherman, plus cousin Fern's secret boyfriend, and three unruly youths wreaking havoc in the area. Meanwhile, back from Vietnam and still recovering from his ordeal, Ruby's Missing in Action father drives across the country in search of a new life and getting his kids back. 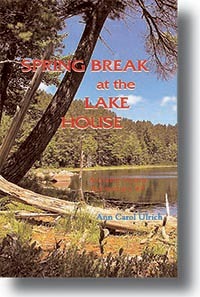 SPRING BREAK AT THE LAKE HOUSE is Ann Carol Ulrich's seventh Annette Vetter novel. The date is Easter week, early April in 1969, and the setting is the beautiful "island city" known as Minocqua, Wisconsin, where Annette's aunt and uncle are the proprietors of a lake house. Wherever Annette goes, there seems to be a mystery to solve, and plenty of trouble for the girls to get into. 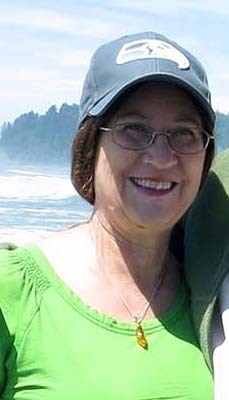 Ann Carol Ulrich (Ann Ulrich Miller) received her Bachelor of Arts degree in Creative Writing from Michigan State University. Originally from Monona, Wisconsin, her writing career began at age 15 with the sale of her first short story. She is the author of the Annette Vetter Adventure series, plus an independent Young Adult novel, The Root Cellar Mystery. She is the author of a Space Trilogy, which includes Intimate Abduction, Return To Terra, and The Light Being. She has also written a romance mystery, Night of the November Moon, and others under the name Ann Ulrich Miller, including her recent memoir, Stepping Forth, An American Girl Coming of Age in the 60s. Her four previous Annette Vetter mysteries, as well as this one, are set in the 1960s. Her favorite genre is romantic suspense. She writes novels for both adults and young people, with most of her writing reflecting her search for a higher purpose in life. Her spiritual autobiography, Throughout All Time, tells about her esoteric life with her husband and soul mate, and how she dealt with his passing.